Relax and rejuvenate at this unique lodge with onsite mineral hot springs. Complimentary hot waffle breakfast, onsite restaurant, games, and nearby outdoor activities. What can I see and do at Lolo Hot Springs? Soaking in the Hot Springs: Everybody's doing it. The enormous developed pool is great for all ages any time of year. 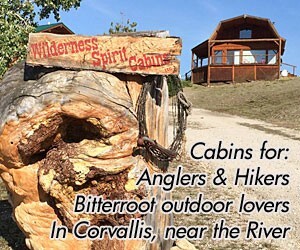 Camping and Lodging: RV sites, tent sites, and cabins are located right on site. 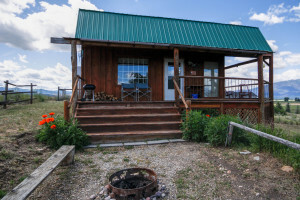 The Lodge at Lolo Hot Springs also offers motel style lodging. Summer Activities: Hiking trails leave right from the resort and horseback rides are available on site. There is also a frisbee golf course and nearby access to great fishing. Winter Activities: With tons of groomed trails and backcountry access, this is heaven for snowmobilers. Nearby cross country skiing is also fantastic. Where are Lolo Hot Springs? South of Missoula, head west on Highway 12 from Lolo, Montana. The hot springs are 25 miles from Lolo, Montana. When are the springs open? Call Lolo Hot Springs at or visit their website. The Lodge at Lolo Hot Springs offers lodging right next to the hot springs.